Ryan, born 1991, graduated from Embry Riddle Aeronautical University. He is a private pilot and is an More…airline dispatcher living in Dayton, OH. Allison, born 1992, graduated from the University of North Florida majoring in Public Relations. She's also a private pilot and living in Atlantic Beach. Attended University of Florida 1980 to 1985. Spent last 40 years in real estate development business in the Ocala area. 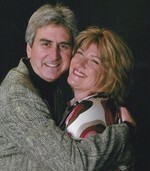 Became a partner in Ocala4sale.com in 2010. I try to stay involved in the community and am on the board of a few local charities. I spend my free time flying, kayaking, biking, and traveling. My wife, Donna, is a fine artist who specializes in painting landscapes and historical buildings. We live in Leeward Air Ranch, a fly-in community. Dirk Leeward added a photo to his profile gallery. Dirk Leeward updated his profile. View. Dirk Leeward has a birthday today. 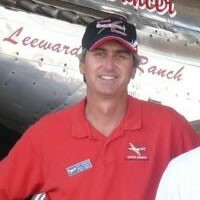 Dirk Leeward joined via Class Connection Facebook app.